Many kids say over and over again, “I want to be a policeman. I want to be a fireman.” This desire may stem from watching TV shows at night or perhaps they know someone who has one of these jobs. But becoming a policeman or fireman takes more than putting on a superhero cape. It is only when kids are older that they realize it takes a lot of work to do these jobs, which is when their interests begin to stray toward other fields. If you are one of the kids that really would like to become an everyday hero, who in my mind is a policeman or fireman, let me tell you how to do it based upon my research. Becoming a police officer isn’t easy. Competition is fierce and the physical and emotional demands of the job are high. They face high levels of stress and danger at times. However, the salary can be good with a good retirement package. Emotionally, officers can experience the joy of saving a person’s life and can also make their communities a better place. They are required to stay fit so they’ll lead a healthier lifestyle. If you believe the pros outweigh the cons, then proper preparation is very important. First of all, different law enforcement agencies require different things so you must check the individual requirements for the branch you would like to go into. A high school diploma (or GED certificate) is required. Most law enforcement agencies also require a certain amount of college education (usually around 40 – 60 credits hours or 12 – 20 classes) before you can begin the application process. Although any field will give you this minimum, you might want to focus on the fields of criminal justice, psychology, public relations or a foreign language. These fields will provide you with some good skills on the job. Be sure to keep up your good grades and learn good study habits to use at the police academy. You can practice working in groups. You can learn some things early too, like the street names for common drugs and the history and goals of the police department you want to apply for. Remember you must have a clean personal and job history, so don’t use drugs and avoid the wrong crowd. You will then enroll in a police academy where you’ll train to become a policeman. You’ll learn about police procedure, safety and other skills. Your level of skills here will directly impact whether or not you are offered a job. Becoming a fireman can be just as demanding and competitive. As a fireman you may rescue individuals and pets from a blazing residence, care for the medical needs, put out the fire in the building and serve others. You also need to work as a team as well as with other people in the community. Firemen work both outside and indoors. You will be required to wear firefighting gear that can weigh up to 50 – 60 extra lbs. You may need to work in tight, dark places; so if you are claustrophobic, this is not the job for you. It is dirty, hot, low visibility, high stress and one of the most dangerous jobs in the world. 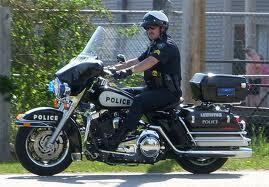 Just like a policeman, the pay can be good with excellent health and retirement benefits. Not only that, but it can be extremely rewarding as you are saving lives and property and helping the community. You’ll also gain a great deal of respect from the community. If you are interested in becoming a fireman, there are some things you can do to prepare for that career. 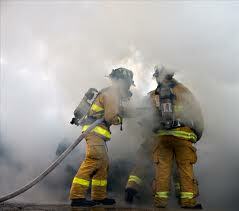 You must maintain a clean background and lifestyle, stay in shape and learn more about the firefighter’s job. You can take fire technology classes at a local college and become an Emergency Medical Technician and then you’ll know better if you’ll like being a fireman. To begin the application process, you submit an application to the local fire department. Although requirements differ by department, in most departments you will be required to take a civil service exam. Once you pass the exam, you proceed to a physical and theory exam, background check to make sure you are healthy, drug free and have not gotten into trouble, a polygraph and psychological exam, Certified First Responder with Defibrillation exam and an oral interview. Once accepted, you will go through recruit school, EMT class and then you’ll be assigned a station where you’ll be on probation for 1 year while they assess your skills. Both firemen and policemen are real life everyday heroes. Although they have a lot of risks on the job, they save lives and support your community. Very few jobs can be this rewarding. Good luck in your dreams of pursuing these careers. Although it won’t be as easy as putting on your hero cape, in the end the rewards can far outweigh the effort to get there.